Singapore – Operationally ready national servicemen (NSmen) received text messages regarding the cancellation of their IPPT, IPT, and RT. On January 25, Friday, text messages were received by NSmen informing them of the cancellation of their Individual Physical Proficiency Test (IPPT), IPPT Preparatory Training (IPT) and Remedial Training (RT). One NSman in particular who was scheduled to take his annual IPPT the following day, January 26 at Khatib Camp, took a screenshot of the message. It said, “(Fr: MINDEF) IPPT, IPT, and RT sessions have been cancelled. Please book a new session. Sorry for the inconvenience caused.” It was sent twice in succession. Since the test was merely postponed, the NSman tried to book another slot online but was unable to do so. 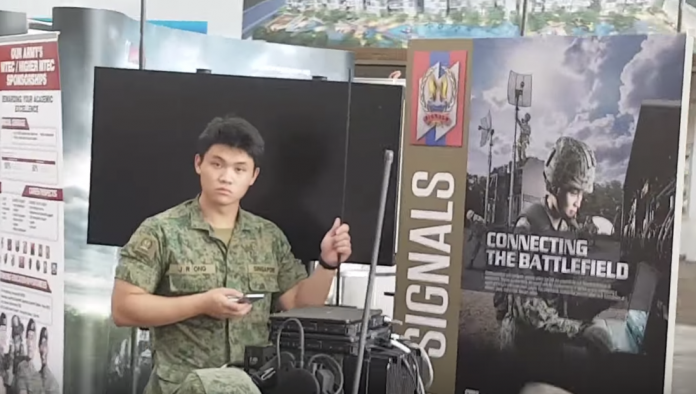 It was said that due to the death of fellow NSman Aloysius Pang, an Army-wide safety timeout has been implemented and the tests have been cancelled. 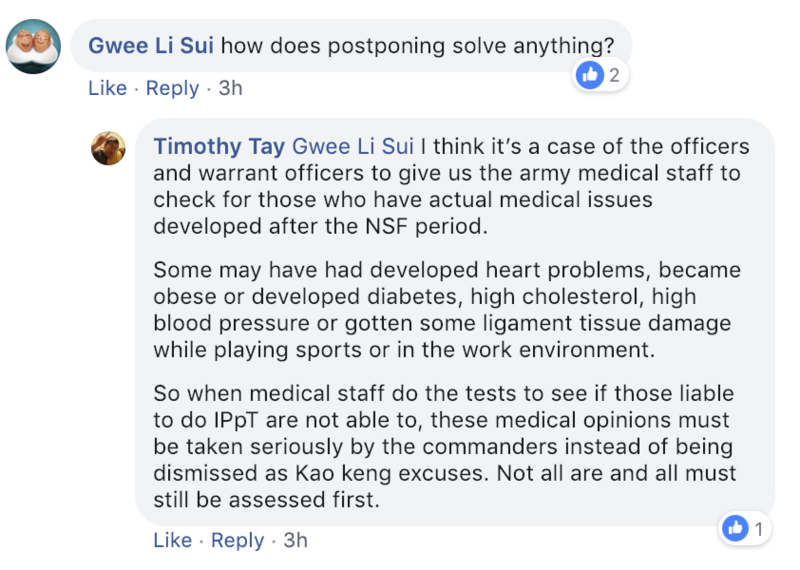 Meanwhile, it is still unclear whether the cancellation of IPPT applies to both full-time national servicemen (NSF) and NSmen or if it affects the navy and air force too. According to another NSman, there are no more available slots for booking the tests in January but will have to wait until February to take them. The Ministry of Defence (MINDEF) has confirmed that a safety timeout has been implemented and is currently ongoing. This information along with the details of Aloysius Pang’s death was disclosed in a press conference on January 24, Thursday, by Singapore’s top military officials. Chief of Army Goh Si Hou added that all field training and live-firing activities in Singapore and overseas have been placed on hold indefinitely. The review process has been started and units are required to submit their plans in the coming days. 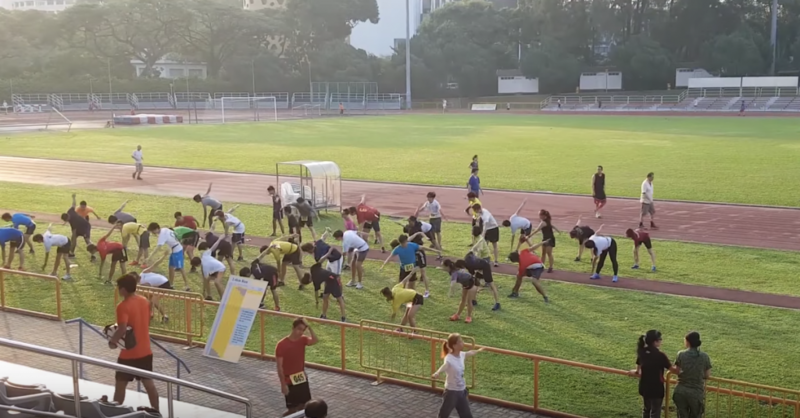 Even though the cancellation of the IPPT, IPT, and RT was not mentioned in the press conference, the text message alert is said to be a part of SAF’s initiative in lowering the training tempo. Netizens like Constantine Yeo wondered why it took the country this long to respond in this manner given the previous deaths of NSmen and NSF. Others replied that there is no better time to start than now since the past is the past. Timothy Tay gave a detailed explanation on the possible reasons and implications of postponing the tests.